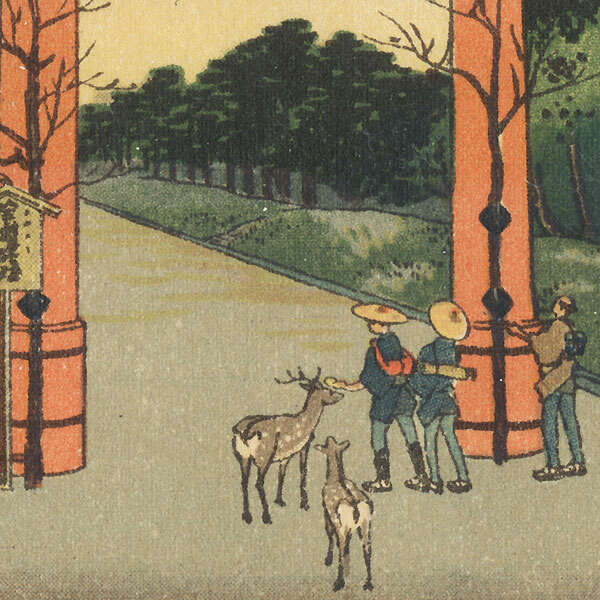 Holiday Woodblock Prints - We've come across an unusual and interesting group of holiday Japanese woodblock prints. Most are single panel designs published by Uchida dating from the mid-twentieth century. 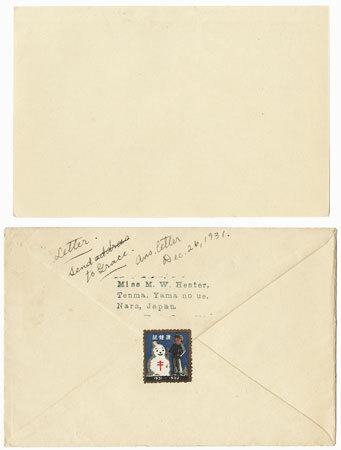 A few are actual greeting cards that were used, and include dates as early as 1914. 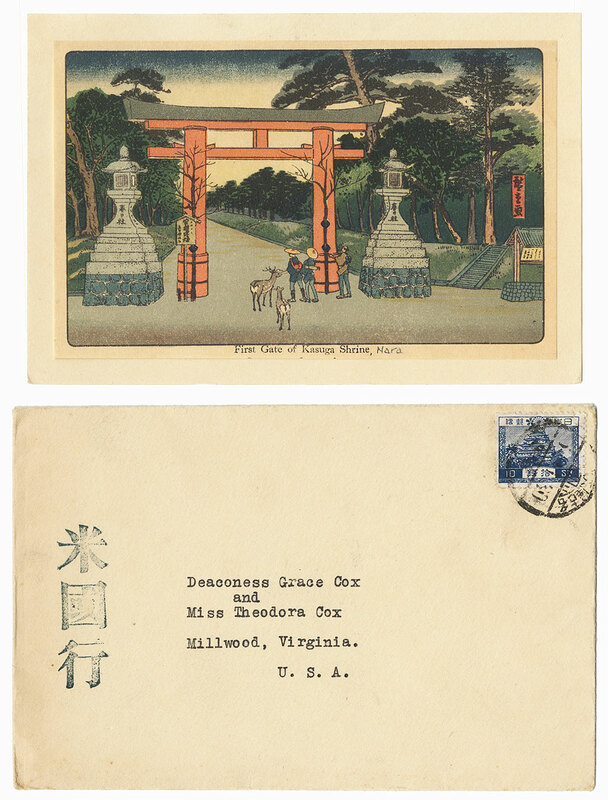 Subjects include seasonal designs, Hiroshige reprints, and Christian imagery, sometimes with Japanese details such as Mary wearing the costume of an Oharame or farm woman from with village of Ohara, or the Three Wise Men dressed as courtiers from the Heian Era. A fun item for the holiday season! Image Size - Print 3 1/4" x 5 1/4" + margins as shown; envelope 4 1/4" x 6 3/8"
Condition - This print with excellent color and detail as shown, mounted at top edge to a backing sheet of paper. Light toning. Notation on back of envelope dated Dec. 26, 1931. Please see photos for details. Good overall.